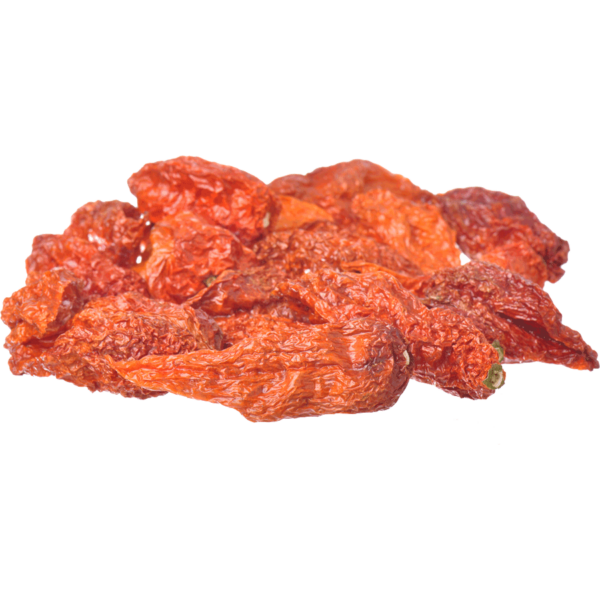 Categories: Dried Peppers, Dry Seasonings, Ghost Peppers, Whole Pods. The Bhut Jolokia aka “The Ghost Chile” is a pepper previously recognized by the Guiness Book Of World Records as the hottest pepper in the world. Originating from India where locals smear the peppers on fences and incorporate into smoke bombs to deter wild elephants this pepper is now widely used in North America to create wildly hot culinary dishes and sauces. Underneath all the heat this pepper has a very mild sweetness and smoky flavor and a creeping burn.